The team at Get Staffed are thrilled with the recent procurement of supplying regular Go-Getters to the golfers down at Preston Golf Club. Not only, are management happy to secure the partnership opportunity, but our core team who will be heading down there are big golf fans and they’re already happily settled in. Two of our Event Managers who have been heading over to the site, Marty and Chris, are thrilled with the opportunity presented and as key Go-Getters they’ve already been making improvements to the offering at Preston Golf Club. Chris is particularly happy with his placement here, stating ‘I can’t wait to go back! We smashed the wedding at the weekend, after a little research we’ve been able to make some improvements in sales already. Andy and the team seem very happy with us’. We’re looking forward to working more with the golf club, there’s a variety of areas within the gorgeous building for us to really get stuck in to. We’re particularly excited about the ground floor function rooms, with capacity for 100 delegates for a seated dinner and dedicated bar (and the all-important dance floor!) 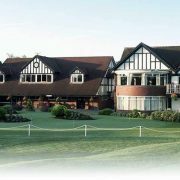 These yummy menus peaked our interests too, take a look here – http://www.prestongolfclub.com/clubhouse/catering/. We love being able to provide regular work for our employees and to ensure the service at each venue is impeccable, we ensure that our Go-Getters undertake venue specific training and that we have a pool of staff for various venues so that employees are familiar with what is expected of them and can gain more and more confidence, we know our clients prefer it that way too. If you have any questions about staffing solutions, we’d love to hear from you. 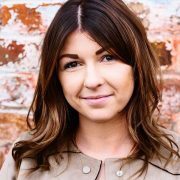 Georgie started working in events around 10 years ago in a mixture of Event, Sales, Marketing & Business Development roles which have brought her to where she is today, following her Event Management degree at UCLan. Shortly after graduating, Georgie became a Sales & Wedding Coordinator for a Best Western Hotel and soon realised that working in hotels was not the route which she wanted to take. “I wanted to work in a more dynamic environment away from hotels and work on a variety of projects which suited me. 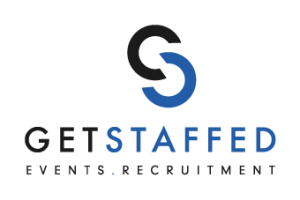 The role for Social Media and Marketing Manager at Get Staffed UK became available and I jumped at the opportunity to work for the team, their corporate responsibility, high staff morale and get up and go attitude was exactly what I was looking for; a company which looked after their employees as part of their business model. I am now in a role which I am able to adapt and make my own, which is exactly where I want to be. I am an extremely hard worker, which is really beneficial in the role and means we’re always trying something new! Greatest Achievement – my degree! Lessons Learnt – Not to worry so much! Everything happens for a reason and solutions are easily found when you’re calm. Hobbies – Can I say Gin again or is it starting to look like I have a problem?